If you’re looking to form a permanent joint between two or more metals, there are a variety of ways to do so. However, brazing and welding services are the most common, and most reliable, choices available. While there are similarities, there are key differences that differentiate the processes. Chief among them is this: welding involves the melting of two metals to join them, while the metals are not melted during the brazing process. 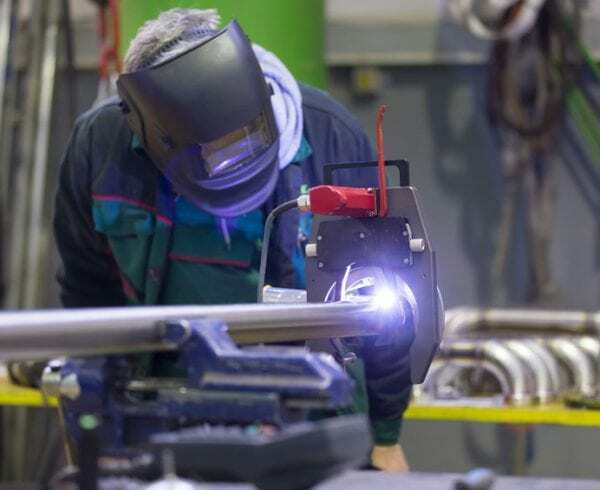 During welding, metal joints are created through the application of concentrated heat at the joint, which melts the metals, causing them to fuse together. There are several different types of welding that can be performed, depending on what the welder is trying to achieve. However, when we talk about welding services at Axenics, we are referring to the specific type of welding, known as TIG welding, or GTAW welding. 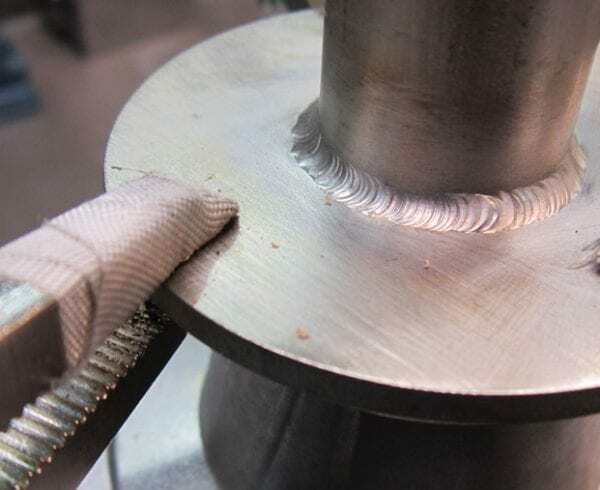 TIG welding is one of the best processes for making permanent joints between two materials, creating a stronger bond when compared with brazing. 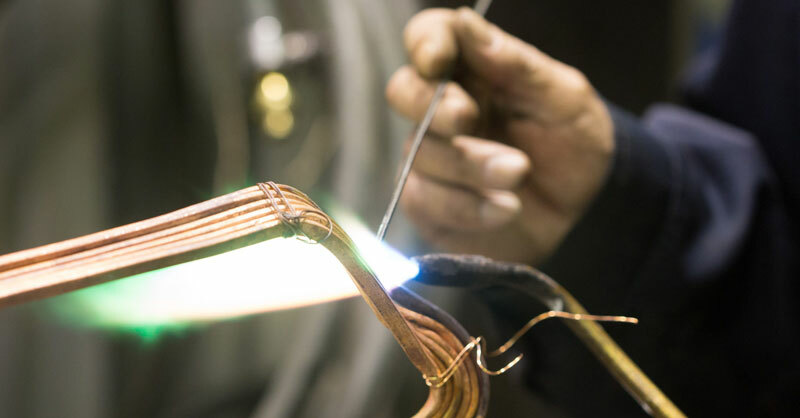 During brazing, the filler metal — which melts at a lower temperature than the base metal – is melted and directed into the joint between the two metals. This occurs through a process referred to as capillary action. Because the filler metal melts at a lower temperature than the base metals, the base metals are not melted during this process. The cleanliness of the metals is extremely important in brazing, as there is less heat applied, and therefore contaminants are less likely to burn out during the process. When we talk about brazing at Axenics, we are referring to the process called torch brazing. 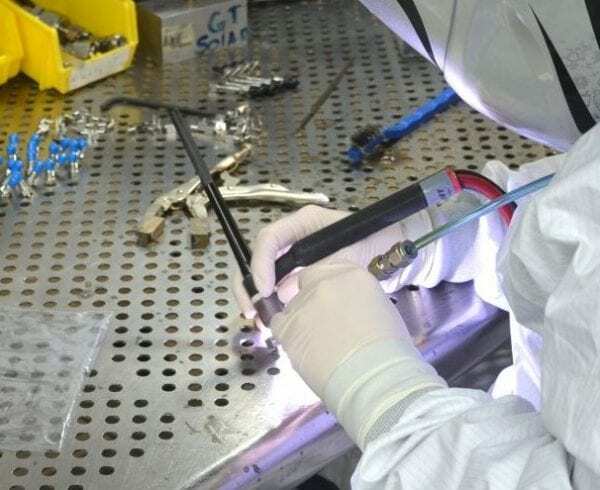 Manual torch brazing is often used in cases where the production volume is smaller, since it is done by hand, and therefore requires more labor and skill. Brazing can also be done with a machine, which reduces labor and skill requirements considerably. Finally, automatic torch brazing can be used for higher production volumes, as the manual labor requirements can almost be entirely eliminated. 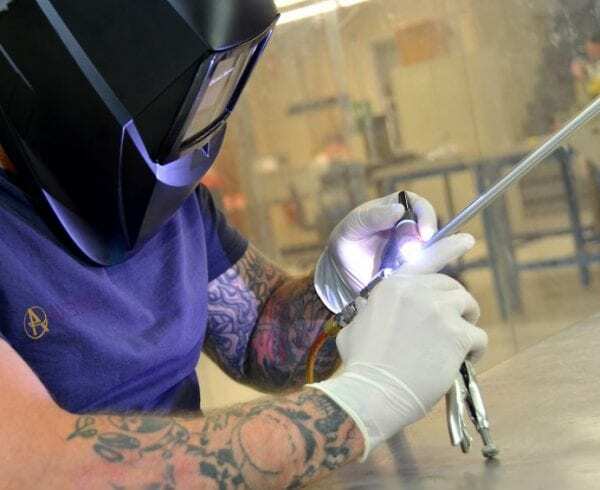 TIG welding is usually a better choice for projects where larger assemblies are being joined, as brazing works by applying heat to a broader area, which can make it more difficult for the heat to reach the right point of the filler metal. For thinner base metals brazing is typically the better option. However, when thicker base metals (.5 inches or more) are being joined, either welding or brazing can be used. For linear joints, brazing is often preferred over welding, as it typically involves less manual work than welding. For fusing spot joints, however, welding is the easier and more economical choice, which also results in a durable joint. When joining two different types of metals, brazing is often the better choice. It will often be more expensive and more complex to join different metal types through welding. If it matters how the materials look once they’ve been joined, then brazing is your best bet. Joining two metals through brazing typically produces a neat bead, vs. welding, which results in an irregular bead. As you can see, there are many advantages to using each type of joining process, depending on your goals and the materials you’re working with. Axenics is happy to help you determine whether our metal brazing or welding services are better for your project, based on your needs and your budget. 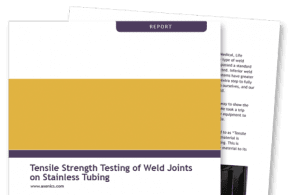 See how Axenics performed in an independent test of our weld joints on stainless steel tubing.